There are 15 posts filed in Joomla Extention (this is page 1 of 2). BTW, don’t forget to hit the share buttons. 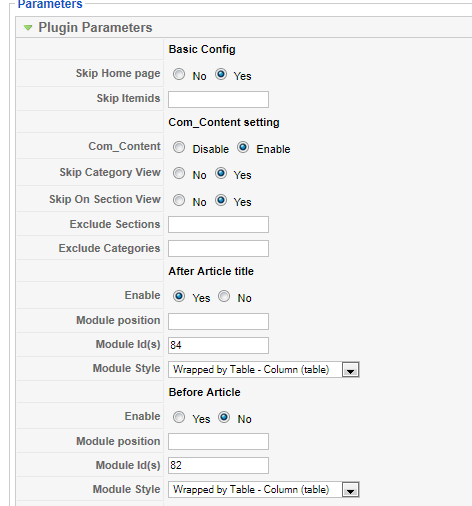 Flexible content module position for joomla a content plugin for joomla which will allow to add module(s) in article in different ways. Let’s have a look into the plugin’s configuration page. How about joomla admin branding ? I think if you are familiar with wordpress then you must know there are so many plugins to brand the wordpress login page(as well as registration page etc) but did u think something about joomla admin branding ? like changing the admin panel header joomla logo or header color etc ? Update 03.09.2010: This extension got approved in JED. If you like this extension pls write reviews and vote in JED. All share count or “Social share/Vote button” is a joomla plugin that shows social share or vote button in articles. It contains all popular social network or share/bookmark sites that supports button/badge for vote/share. I was inpired by the wordpres plugin “Digg Digg WordPress Plugin” which I am using in my blog for many days.